When I saw it on the shelf at Target, I knew I had to buy it to try it out! (Side story: Target used to be in Canada, folded very quickly due to money/bankruptcy issues/not paying their suppliers and was, in short, run very poorly in comparison to the American version of the company – so we no longer get Target in Canada so I had to go when I went down last weekend!) 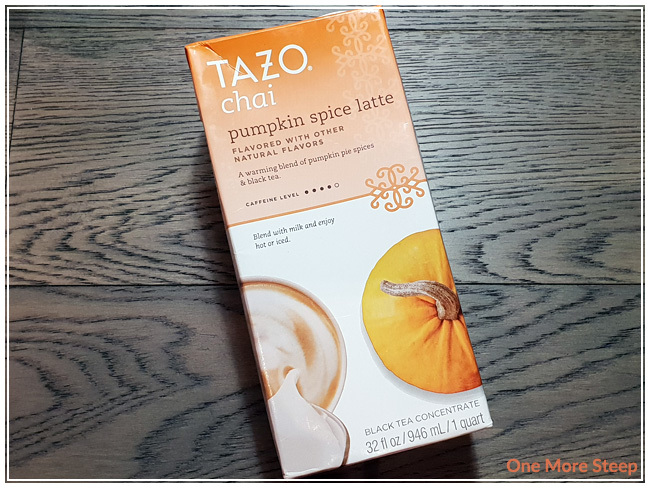 I can find the regular Chai Latte Concentrate from Tazo Tea here in Canada, but I’ve never tried the Chai Pumpkin Spice version and I’m not sure if it is available in Canada at all (a quick search through the usual places where I can find the regular Chai Latte concentrate came up empty for the Pumpkin Spice version). Chai Pumpkin Spice Latte Concentrate comes in a carton with a twist off/on cap. If you’re not drinking the entire thing in one go, it does need to be refrigerated and then it’s good for one week/seven days after opening it. It does seem to have a fairly long shelf life though (the best before date on my carton is June of 2020). 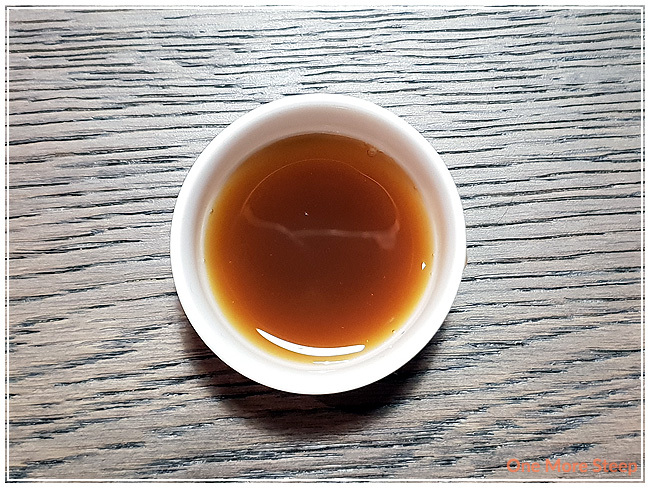 The black tea concentrate is a dark reddish brown that is a bit cloudy. The aroma is quite strong of spices – I can definitely make out cardamom, ginger, and cinnamon. 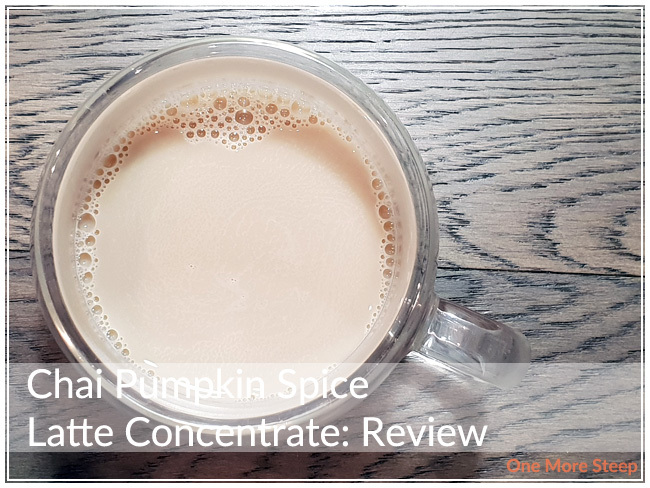 The ingredients in Chai Pumpkin Spice Latte Concentrate are: “an infusion of (water, black tea, black pepper, ginger, cardamom, cinnamon, cloves, star anise, natural flavours), cane sugar syrup, honey, ginger juice, natural flavours, and citric acid”. Tazo Tea recommends shaking the carton, and then mixing equal parts concentrate to milk (or dairy alternative of your choice). It can be had either heated (stove top, microwave, etc.) or poured over iced if you’re wanting an iced Chai Pumpkin Spice Latte. I measured out equal parts of the concentrate and 1% milk and had it in a glass mug, heated via the microwave. The aroma from the blend of concentrate and milk reminds me a lot of the regular Chai Latte concentrate. There’s definitely the aroma of the warming spices in there, which is really quite pleasant. I can make out the ginger, cinnamon, and cardamom aromas. The one thing that really hit me when I tasted it was how sweet it is. I think as I finish off this carton, I would mix a bit more milk to concentrate to help temper down how sweet it is (and this is coming from a girl who likes her sweets!). There’s really no pumpkin flavour at all, but the spices that I would expect to find in a pumpkin pie are definitely present and very flavourful, albeit accompanied by a lot of sugar. The black tea base is mostly covered up by the spices in the blend, along with the cane sugar syrup and honey. 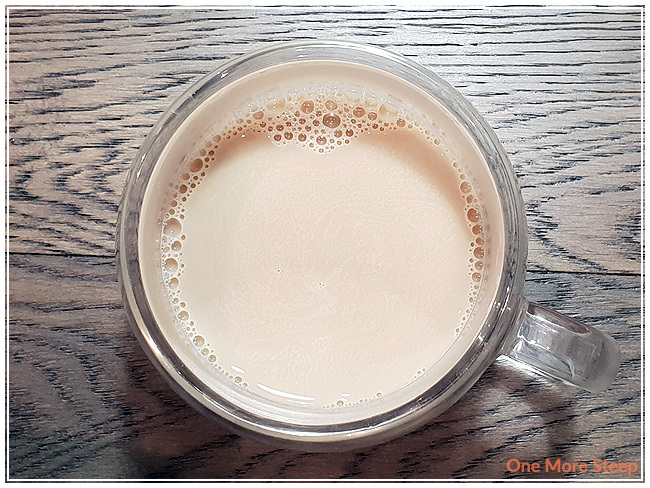 As an aside, the original Chai Latte concentrate has nearly identical ingredients to the Chai Pumpkin Spice Latte Concentrate (this one is missing vanilla extract) and has less sugar (16g per ½ cup versus 21g per ½ cup). I thought that Tazo Tea’s Chai Pumpkin Spice Latte Concentrate was just okay. It was really fun to try from a novelty perspective since it is the season for pumpkin spice all the things. The spice blend is on point for what I expect from something that’s supposed to taste like pumpkin spice, it was just on the side of too much sweet for me when prepared the way that Tazo Tea recommends. I think it’s quite concentrated (and very sugary) and will cut the concentrate with more milk in the future (probably a 1:2 ratio instead of 1:1). However, it does make for a nice novelty drink and I will happily finishing the rest of the carton up before the week is up!